We hope you enjoy your parks! The Anderson Park District is located in Anderson Township, approximately 12 miles east of Cincinnati, within the southeast corner of Hamilton County in Ohio. Over 500 acres of parkland comprise the APD, situated within the Township’s 31.2 square miles. The population of Anderson Township, according to the 2000 census, is 43,857 with a median household income (1999) of $70,997. The idea for the Anderson Park District began in 1970 when the Anderson Hills Community Council petitioned the Anderson Township Trustees to form a park district. The first park board created a plan for public parks in Anderson Township and bore the park district by the passage of a referendum in 1975. Operations officially began in 1976 and the first park, Nagel Park, was dedicated in 1978. Today, the Anderson Park District is an independent governmental agency, known for its year-round schedule of activities that contribute to health, fitness, relaxation, enjoyment, learning, and community fellowship. It is our goal to provide these quality services in the most efficient, cost effective manner possible while striving for customer service excellence and continued quality improvement. Anderson Park District’s parks and facilities are maintained for the community’s use in both unstructured recreation and for programmed events. Since 1975, numerous facilities and open space have been added to the Park District in order to meet the growing needs of our community. Inside the eight parks that are owned and operated by the APD you’ll find award-winning playgrounds, hike/bike trails, athletic fields, courts for volleyball, tennis, and basketball, open space, and wooded areas. There is even a 15,000 square foot skatepark and a 4 acre off-leash area for dogs. For indoor activities and events, the APD leases and manages the Anderson Parks RecPlex. Overseeing the Anderson Park District is the Board of Commissioners, composed of five Anderson Township residents. The Commissioners are designated by the Anderson Township Trustees for a three year term of office. This volunteer, policy-making board is responsible for establishing and maintaining the APD as a corporate entity and providing direction to the APD management staff. The day-to-day operations of the park district are the responsibility of the management and administrative staff under the direction and supervision of the Executive Director. Assisting with the day-to-day operations are 18 full-time employees and 85 part-time staff. 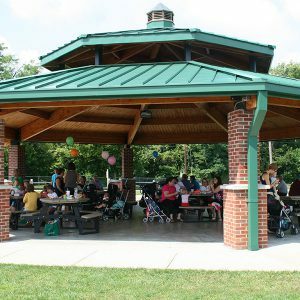 The Anderson Park District is an organization that has established an outstanding reputation for quality parks and recreation opportunities. Credit for this goes to every one of our employees. They are well-trained, efficient, hard-working individuals dedicated to offering the citizens of this community a model park system. We hope you, too, will find satisfaction and in the work they do here. The Operations Department is charged with the maintenance, building, and enhancement of all the parks. The staff members maintain all of the facilities and amenities within these parks including hike/bike trails, athletic fields, play equipment, and more. The Recreation Department manages the Anderson Parks RecPlex and provides programs and activities designed to meet the physical and social recreational needs of residents. The extensive programs offered by the Recreation Department are intended to serve all segments of the residential population from preschool children to senior adults. These programs include summer day camp, dance classes, youth and adult sports, arts & crafts classes, teen programs, and many other activities. 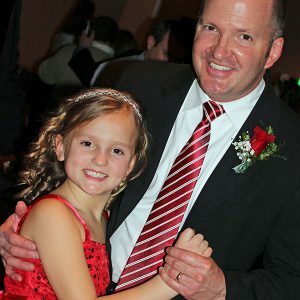 The Recreation Department is also responsible for the area’s traditional events such as the annual Egg Hunt, Daddy-Daughter Dance, Jr. High Park Parties, A Fair of the Arts, Trunk ‘R Treat, and Santa’s Workshop. In all, the Recreation Department offers over 50 classes, leagues, programs and events throughout the year and is produced through a cooperative effort from all park district departments. The Anderson Park District operates with the assistance of your tax dollars. Approximately 70% of the District’s expenses are covered by tax revenue while the remaining 30% is covered by alternative sources. Your park district works hard to seek these alternative funding sources to supplement your tax dollars. Examples of alternative funding sources include grants, fees for programs and events, cash, in-kind gifts, and field user fees. Your tax dollars help to purchase land, develop current facilities, and provide ongoing maintenance to your parks, available every day of the year for your benefit and enjoyment! 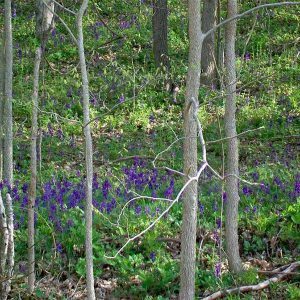 The Anderson Township Greenspace Program is responsible for the acquisition and preservation of land in its current or natural state. The Greenspace program is part of the Anderson Township Government and is not a part of the Anderson Park District. Greenspace acquisitions, by statute, are not for the purpose of recreation and are funded through a separate Greenspace levy. Your votes to support Greenspace levies do not provide funding for parks and recreation.